Wow, it feels like it has been forever since I’ve put up a trade post. I feel like I’m behind on everything now. That’s only because I actually am. I’ve mentioned it before, but I have a couple newer trades that are now in line for appreciation and I’m hoping I can get to doing another round of trade bait posts within a month. My goal is to start to catch up on all kinds of things throughout September. 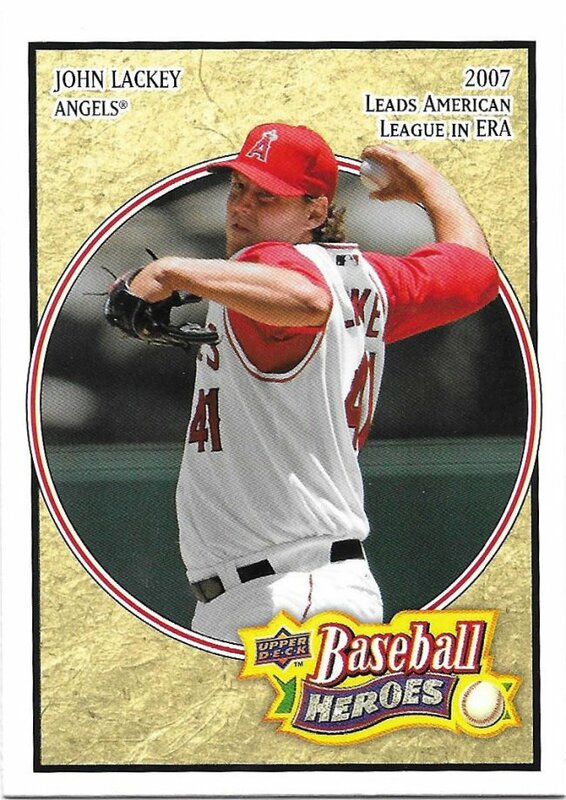 That might mean that I’ll eventually finish up this trade with Tom over at The Angels, In Order. He sent me a ton of John Lackey and Tony Gwynns. If you want to review the first part, you can do so here. Second part here. Third, here. Fourth here. I’ll have one more, larger, post to go after this one. 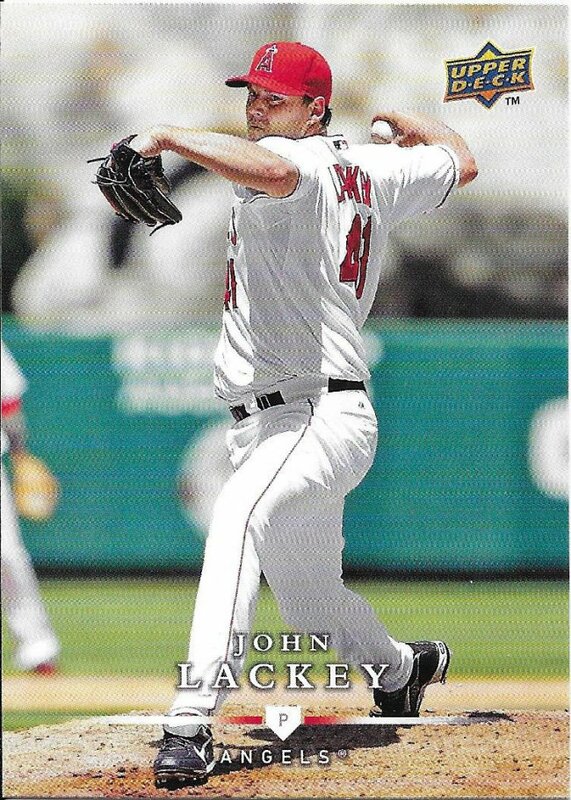 Today, we’re going back to the Lackey well and focusing on the year 2008. 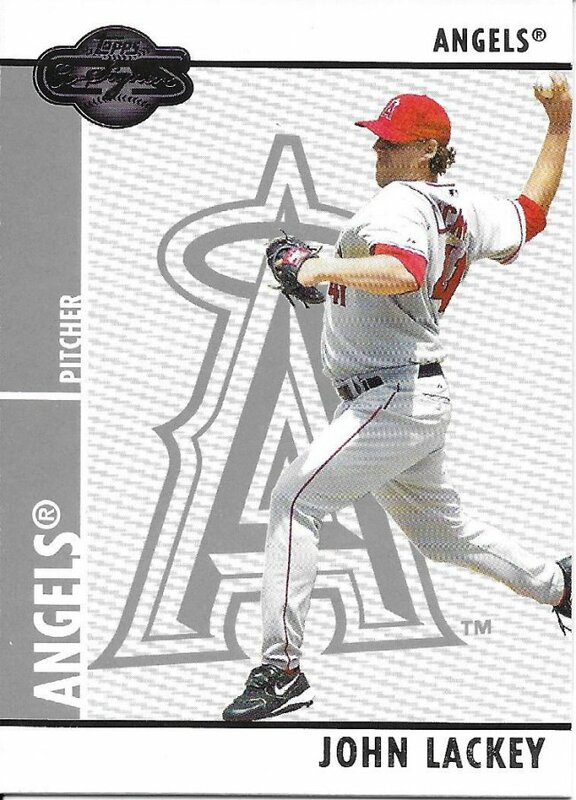 I think Upper Deck was trying to recreate the magic of 1995, but it falls way short. 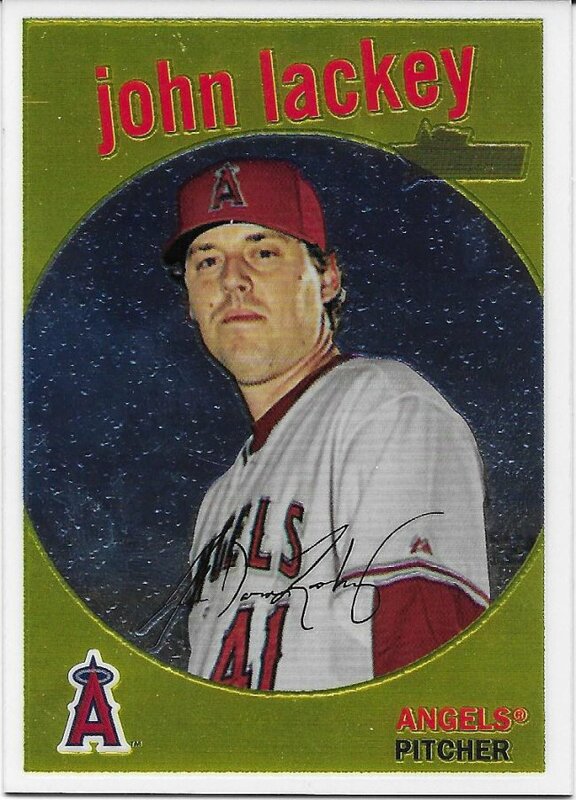 The highlight of that season for John was a Shutout against the Mariners. 9 innings, no runs. It’s such a rare occurrence in 2008 (and still now) that it becomes a season highlight, I guess. 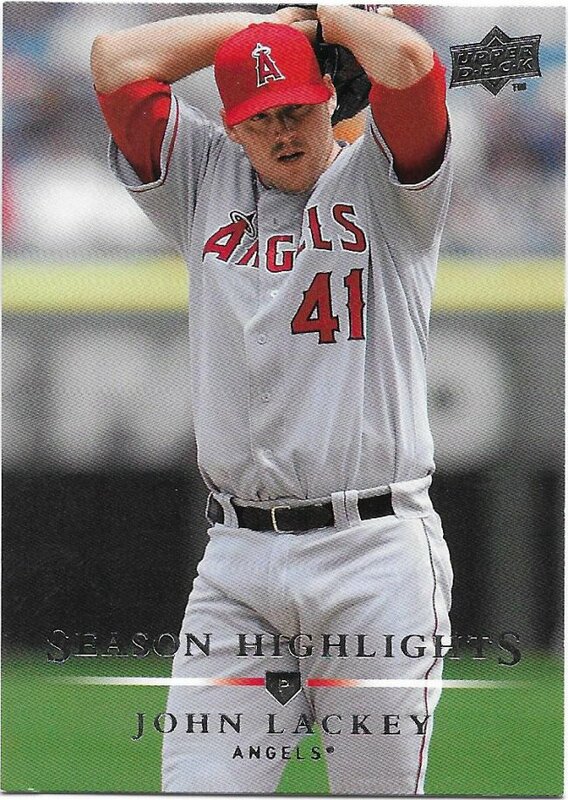 Here’s the First Edition version of the same earlier card. The missing foil doesn’t help. I just realized the drawing in the back doesn’t make much sense. The guy is sliding into first and not head first (which is dumb, but the only way I’ve seen it done), and not to avoid a tag. And the catcher is looking to receive the ball as well for some reason. Here’s why the season highlights exists. 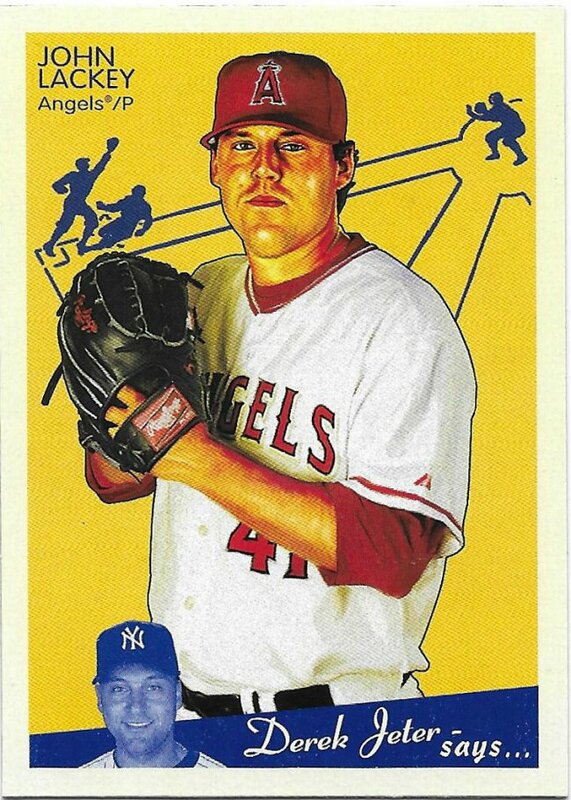 Lackey was the ERA leader, so they wanted to wedge in another card of the then star player. Let’s transition over to the Topps cards. This may be one of the last years with a drastically different look to the Opening Day. The red was a strange choice. I’ll go with not good, even. 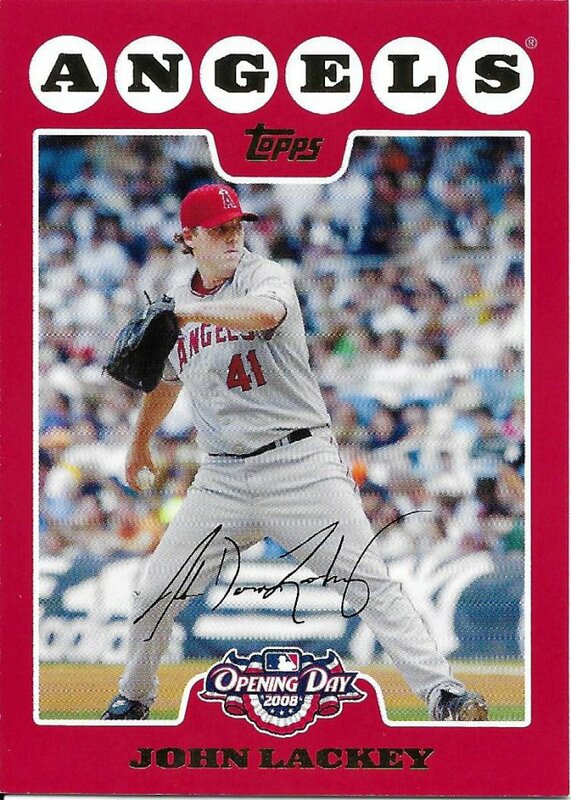 I’ve been able to get a few of his Co-Signers cards but not the base card. That’s where Tom comes in. I hope he didn’t open a box of the stuff, because it’s much better to pick up the scraps from other people. I really don’t understand the “New Age” moniker. John was not new to the league at all. I feel this should be reserved for the youngest stars of the time. To end this round, Tom sent me this Chrome card from Heritage. 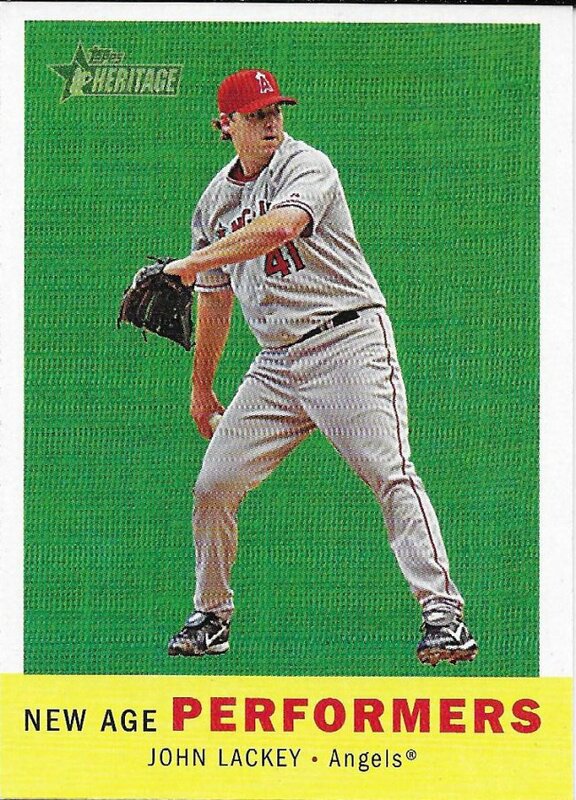 It’s always nice to get any new cards in a trade, but it’s still a surprise when a numbered card appears. It feels like a mistake. I’m sure it wasn’t, but it’s still cool and a nice gesture. That’s the kind of guy Tom is, he sends nice, varied, robust trades and I look forward to showing the last pieces of it next time to thank him for a sixth time.